Norwegian reported strong passenger growth as it carried almost 2.9 million passengers in November, an increase of 14 percent compared to the same month previous year. Norwegian will add two more European nonstop routes out of Boston’s Logan International Airport next summer, as well as move its existing London service from Fort Lauderdale-Hollywood International Airport to Miami International Airport and from Oakland International Airport to San Francisco International Airport. Norwegian announces a new nonstop route from London to Rio de Janeiro, which follows the airline’s existing service to South America with direct flights from London to Buenos Aires, Argentina. Norwegian Reward is one of the most flexible loyalty programs enabling members to travel more and affordably—earning points through booking flights, hotels, renting cars and now online shopping. An increasing number of passengers choose to fly with Norwegian. The company carried a total of almost 3.4 million passengers in October, an increase of eight percent compared to the same month previous year. 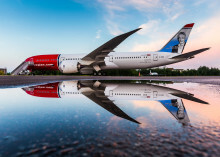 Norwegian, the World’s Best Low-Cost Long-Haul airline and Value Airline of the Year, continues to expand its ever-growing network to include Tampa International Airport as its 15th U.S. gateway. Norwegian Air has expanded its North American footprint to include Canada, as the airline’s inaugural flight departed today from Montréal-Pierre Elliott Trudeau International Airport to Guadeloupe’s Point-à-Pître International Airport in the French Caribbean. The new non-stop service will be followed by flights to Martinique Aimé Césaire International Airport on November 1. Norwegian Air today reported a result (EBT) of 1.6 billion Norwegian kroner($192 million) for the third quarter 2018. The company continued to reduce its unit costs despite a capacity growth of 33 percent. Going forward, the growth will abate, consequently further reducing unit cost. Norwegian Reward, the award-winning loyalty program of Norwegian Air, is continuing its rapid expansion by adding a new car rental partner, Avis Car Rental. Following a successful test project, Norwegian will expand its cooperation with AVTECH Sweden AB to further reduce fuel consumption. 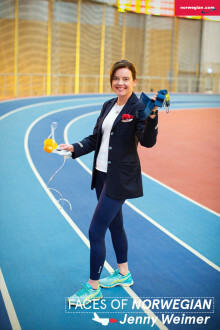 A report by the Swedish Energy Agency, which partly financed the project, shows that fuel consumption was reduced by 22 kilos per flight. This equals an annual CO2 reduction of 16,000 tons - or a reduction of 5,000 tons of fuel per year, cutting costs for Norwegian. Norwegian, today announced its partnership with the Transportation Security Administration (TSA) to offer eligible passengers expedited screening through TSA Pre✓®. 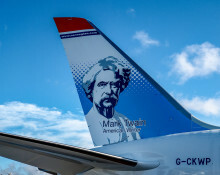 Norwegian Air Argentina, an Argentinean subsidiary within the Norwegian Group, today launched its national operations—this represents the sixth domestic market for the airline group following Norway, Sweden, Denmark, Finland and Spain. Norwegian first operated flights between Buenos Aires and London on February 14 this year with Norwegian Air UK. Norwegian has become the largest foreign (non-North American) airline in the New York City area, based on passenger numbers. The airline carried 1.67 million international passengers to and from three of New York City’s airports according to the Port Authority of New York and New Jersey’s most recent traffic report, surpassing British Airways to reach the top spot.